Mrs. Orman's Classroom: Cute Halloween Clip Art for Commercial Use! 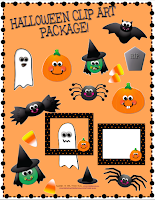 I just posted my Halloween clip art package. :) I was pleasantly surprised with my drawing ability...thankfully my Mac is able to make my crooked lines much smoother. These images can be used for commercial use, including free downloads. 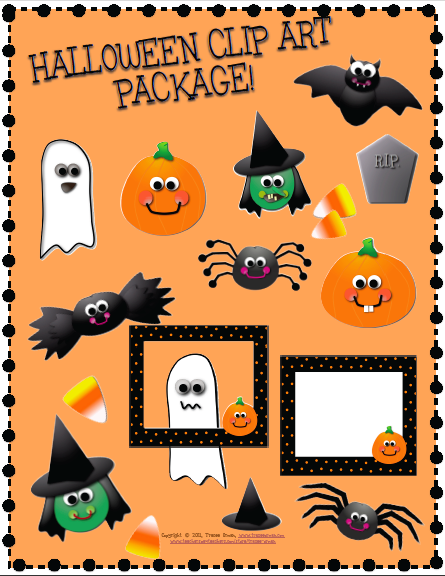 So, if you are looking for an inexpensive alternative or supplement to your favorite clip art company, check out my cute Halloween package. It contains over 25 graphics (individual files in a zipped folder) in PNG format. I made the background transparent so these can be placed on any of your patterned or colored backgrounds without the white showing up.